A busy July with our next show just next weekend! 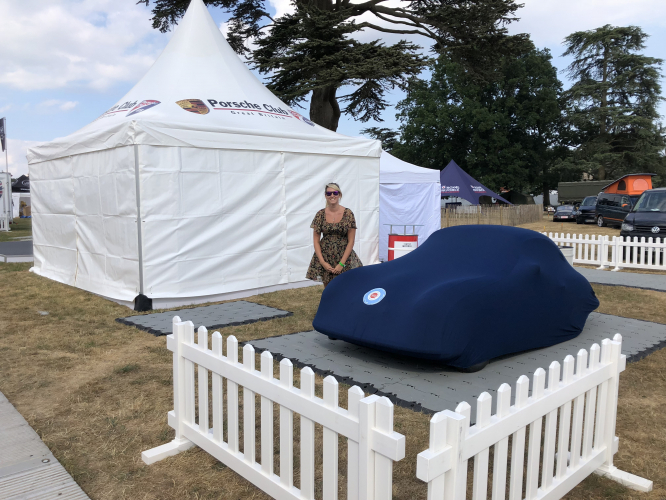 We are just getting over a busy weekend at Goodwood Festival of Speed, but we are now getting ready for Silverstone Classic next weekend. 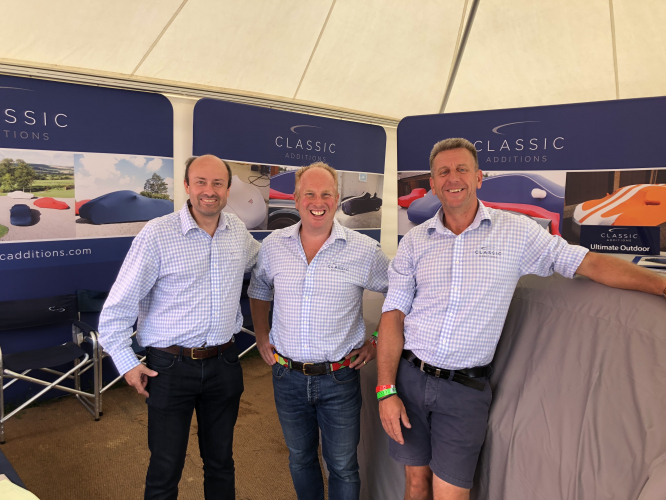 We had a busy weekend at the Festival of Speed and had a great time as always. The show is always really busy and this year the weather was fantastic. The Festival of Speed is one of the largest motor shows in the country, with tens of thousands of people attending each year. 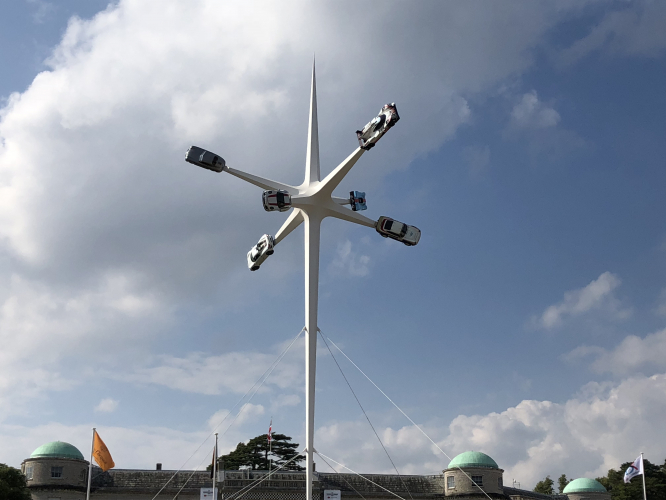 This year the show didn’t disappoint, with the central structure outside Goodwood House celebrating 70 years of Porsche. This was an amazing star shaped structure with 6 cars suspended high up in the air. 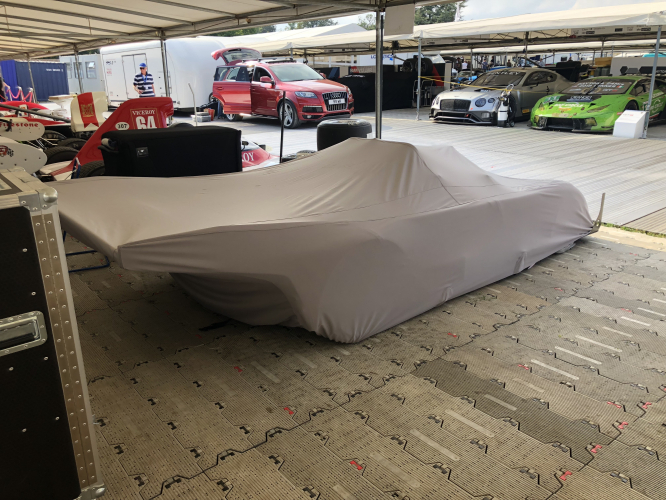 The show usually also has some of the latest supercars running up the hill, and many others in the paddock and concourse. 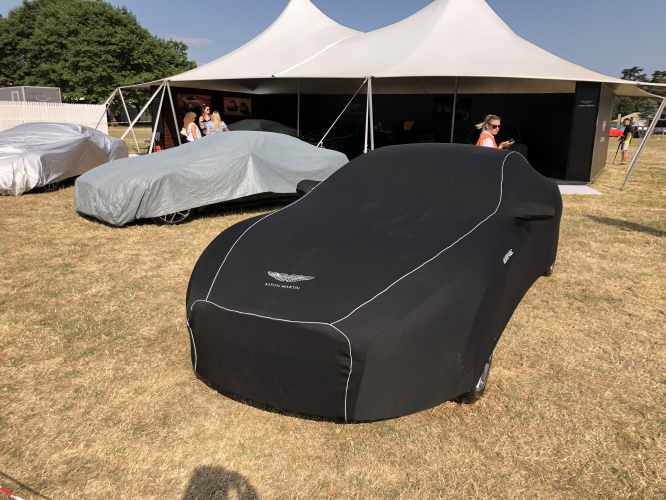 Some of the most talked about cars this year were the Aston Martin DBS Superleggera, Lamborghini Urus, Aston Martin Cygnet V8 and of course the incredible Singer DLS Porsche (which we recently made some covers for). Take a look at some of our favourite photos from Goodwood. Tomorrow we will be setting up for Silverstone Classic, ready for the show to open on Friday. We will be on Stand 106 with our range of covers on display. 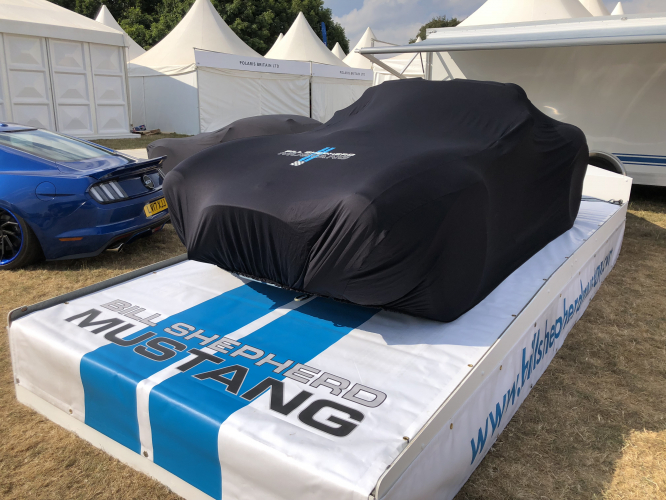 We will be holding stock of our Super Soft Stretch, Soft Indoor, Lightweight and Ultimate covers, as well as having one of our Custom Made Indoor covers on display. Usually the show brings in over 80,000 visitors, with a full schedule of classics making their way around the iconic racing track. The great news is that it is set to be really warm again next weekend too! Come and say hello if you’re around.